Synopsis: Retreating from an airborne virus with a uniquely unsettling symptom, property developer Jason escapes London for his country estate, where he is forced to negotiate a new way of living with an assortment of fellow survivors. Why did you choose Jane Eyre as the book that governs Agnes’s society? What if a random book, that we know to be a work of fiction, were to survive a cataclysmic event? And what if a future community, with no concept of narrative fiction, were to take that book as a unique guide to life’s purpose? What would that community look like? What rules would it live by? What kind of rituals would it have constructed for itself under the book’s influence? These were some of the questions I had in my mind, before I began The Book of Air. I didn’t know, at this point, that I was going to use Jane Eyre. I just knew it would have to be something familiar enough that readers would at least have heard of it. I didn’t want to start by shutting people out. When I’d completed a draft, one of the people I gave it to was a guy in his twenties, very bright but with no literary background, just now beginning to get into reading. He’d never read Jane Eyre, never seen a film or TV adaptation of it, never heard the name Rochester. I wanted the book to work for him as well as for the Bronte fan, and for everyone in between. I have a resistance to writing that parades its own cleverness. Narrative writing that’s full of intellectual references creates a problem whether you get them or not. If you don’t get them, you flounder. If you do, you’re constantly being bounced into a cognitive place. You’re stuck in your head, when you want to be free to experience emotions. Above all, a story has to evoke feeling. So I knew I was setting myself a challenge. It would only work if I started with a book that was not only well-known, but had a central plot that could be easily grasped. I briefly considered Oliver Twist, whose main character people know through films and musicals as well as reading. But I quickly ruled out Dickens as too urban, too dependent on the social mechanisms of city life. Dickens is interested in institutions, law courts, prisons. I was envisioning a rural community, isolated, materially self-sufficient. Jane Austen wouldn’t do, either, but for different reasons. Her small communities would be on a recognizable scale, but the subtle rules of decorum that governed their interactions would baffle my imaginary villagers. It didn’t take me long to settle on Jane Eyre. I saw in Charlotte Bronte’s fictional world the clash of elemental forces that these future readers would respond to. Austen’s Lydia Bennett, eloping with Mr Wickham, risks social ruin. But when Jane Eyre discovers that her employer Edward Rochester has a mad wife locked upstairs in the house and runs away to escape his advances and the temptations of her own desire, she almost starves to death on the moor. The passions, of love or enmity, are starkly drawn. The elements are vitally present. To tell the story of that community, I imagined a young woman called Agnes. Though dutiful in many ways, and devoted to the study of Jane’s life, Agnes chafes against the limitations imposed on her. The story is told in her voice, through a journal she is secretly writing. Through her eyes we see how food is worked for, how order is kept, how matters of love and marriage are regulated, how sexual transgressions are punished or covered up, how the dead are buried. It’s a story of disobedience and punishment, of the impulse to escape in sharp conflict with the desire to belong. I hadn’t gone far into telling this story before it occurred to me that its readers might reasonably expect an account of how this community came into existence. Why this isolation, why this piece of land and these buildings, and why, particularly, this book? A parallel narrative was required – the story of how our world gave way to theirs. I found myself being launched into something much more daunting, because of its scale and it catastrophic trajectory – an account of how everything we are familiar with comes to an end. For Agnes’s story to be possible, nature must thrive, but people and social structures must be destroyed. There would be pockets of survivors, the ancestors of Agnes’s community being one. My novel became more complicated but also richer. I found myself thinking about the essential experience of loss, the way memories are constructed, and the basic human urge to create meaning. Raised sixth in a family of nine, Joe Treasure enjoyed a capriciously Bohemian childhood. Having received his educational grounding at the hands of Carmelite priests, he escaped to Cheltenham Grammar School where he excelled only in music and art. His architectural ambitions were thwarted by low grades in maths and physics. The local college of further education allowed him to pursue more congenial subjects, after which he surprised everyone, not least himself, by winning a place to read English at Keble College, Oxford. Settling in Monmouth, Wales, Joe taught English and ran an innovative drama programme. He moved to Los Angeles at the turn of the millennium to join his wife, Leni Wildflower. Temporarily unemployed, he set about fixing up Leni’s house and turned to writing fiction. In 2004, at the end of George W Bush’s first explosive term in office, they relocated to London where Joe studied creative writing at Royal Holloway. He wrote The Male Gaze, a novel that drew on his American experience, mingling social comedy with political drama. Offered a two-book publishing contract with Picador, he went on to explore the divided loyalties of an Anglo-Irish family in Besotted, a novel that celebrates the enduring bonds of brotherhood. 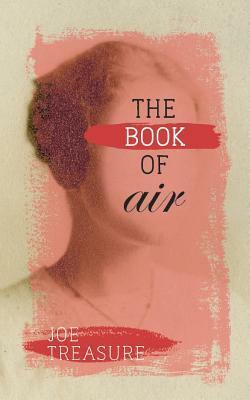 The Book of Air is Joe’s first venture into speculative fiction. He and Leni currently live in Balham, London.